What a crazy round of football. I'm actually really glad that two of my predictions fell over, putting the whole tournament into utter disarray. It's upsets as big as these that make a fool out of everyone (pundits, expert football commentators, myself etc) and remind you that no game is a 'safe game'. 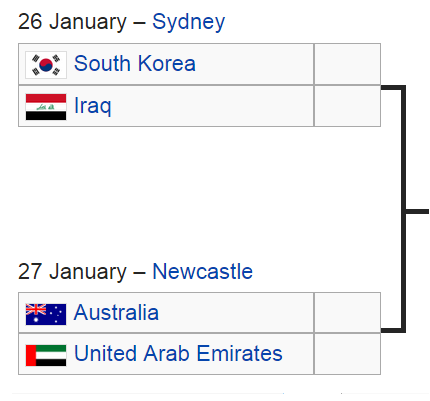 That being said there have been fears that this Asian Cup could be riddled with match fixing, which is entirely possible because Asian countries are well known for such practices. I have to confess that I can see nothing but an Australia-South Korea rematch, so my predictions are tainted with this bias. But I do want to discuss 2 topics in brief. If the upset is to happen, I reckon it would be in the first semi-final because South Korea were not entirely convincing against Uzbekistan. 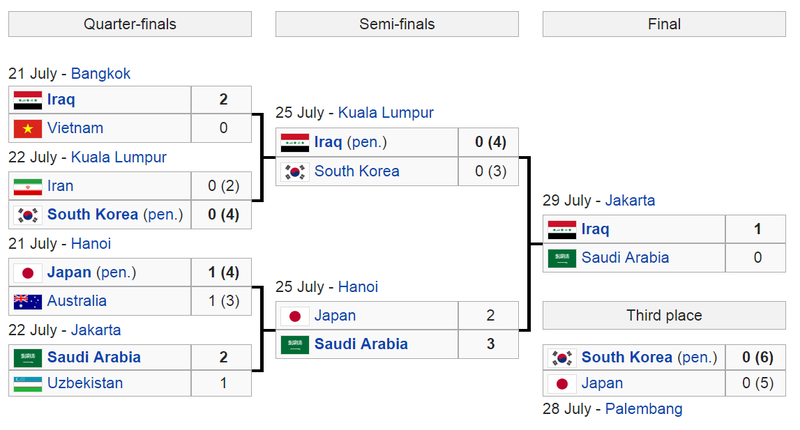 Iraq, of course, specialise in being underdogs given their victory at the 2007 Asian Cup against all odds. An upset could easily happen in the second semi-final too, because when it comes to scoring critical goals in tense matches (when chasing, trailing, or looking for the winner), Australia is a one-man team in the legendary Tim Cahill who seems to almost always produce when it matters the most. Of course Australia is not a literal one-man team in terms of defending, dribbling, passing, marking or setting up plays. However, when it comes down to the crunch time, and a goal is desperately needed, no one can deny that Tim Cahill time and time again has to come to the rescue of the Socceroos. 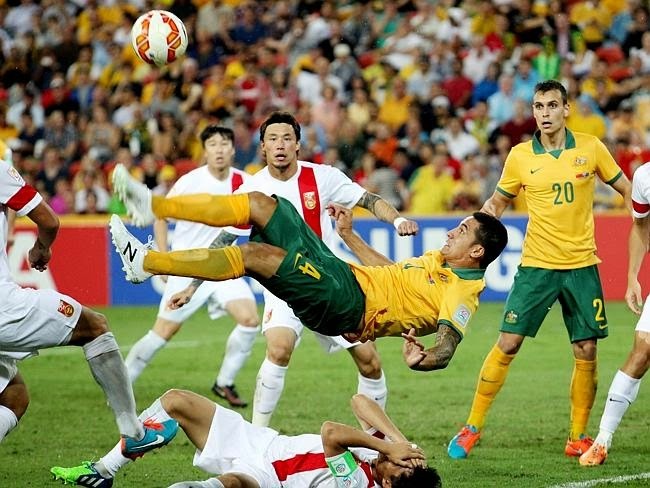 Even in the Kuwait match, it took a Cahill equaliser to steady the team's nerves. For the sake of Australian football and the qualification campaign for the FIFA World Cup 2018, I honestly hope this pattern changes for this semi-final. Perhaps Australia need to win this Asian Cup now while they still have their talisman around with them. Furthermore, with Japan knocked out, it is obvious for everyone to see that this opportunity cannot be wasted. 1-1 Penalty Shootout, South Korea to win. 2-1 Australia, Australia to concede early.